To tell you the truth, I own only two wreaths. Some of my neighbors have one for every season and they keep the off season ones hanging in the garage. I see them when I walk by and wonder if I should be ramping up my door decors. 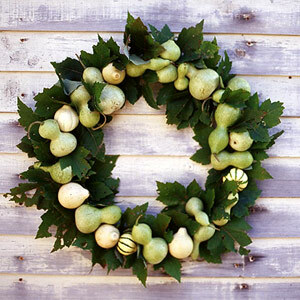 I am picky about my wreaths because I’m not into the fake flowers and plastic fruits glued to wreath shaped foam. If you can’t tell, I’m the simple and classy kind of gal. The wreath above is my fall wreath. I purchased it last year. This wreath I made two winters ago. It’s was the first wreath I owned. I had been on the hunt for a Christmas wreath and couldn’t find one I loved within my price range. That’s right, did you know that wreaths could be outrageously prices? Some of the ones I liked were around $80. I decided to attempt designing and making my very own. Nathan laughed because I ended up spending more than I wanted to on it, but still nowhere near $80. If you made something inspired by Simply Modern Mom, please upload pictures of it in our Flickr group to show it off to everyone. You may be featured on Simply Modern Mom. 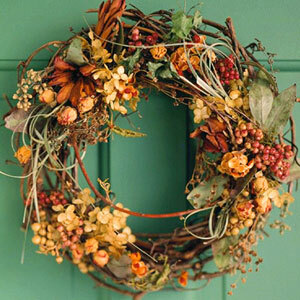 Here are some other wreaths that I like and would like to try one day. Click on photos for more information about each of the wreaths. Quick and simple tape to the wall. Hi! Just wanted you to know that I nominated you for a Blog Award. Thanks for the nomination! I’m so flattered! 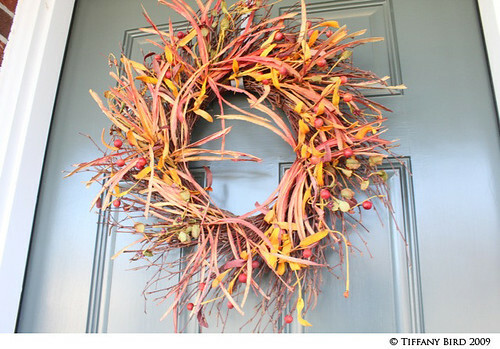 Love the square one and the simple maple leaf wreath. Yeah, me too — like the square one — thinking outside the box! The square one is very fun. 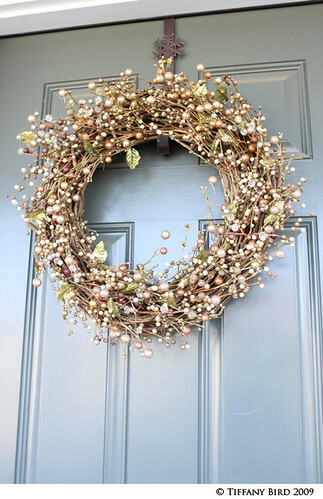 I would love to see a tutorial on how do to this wreath.